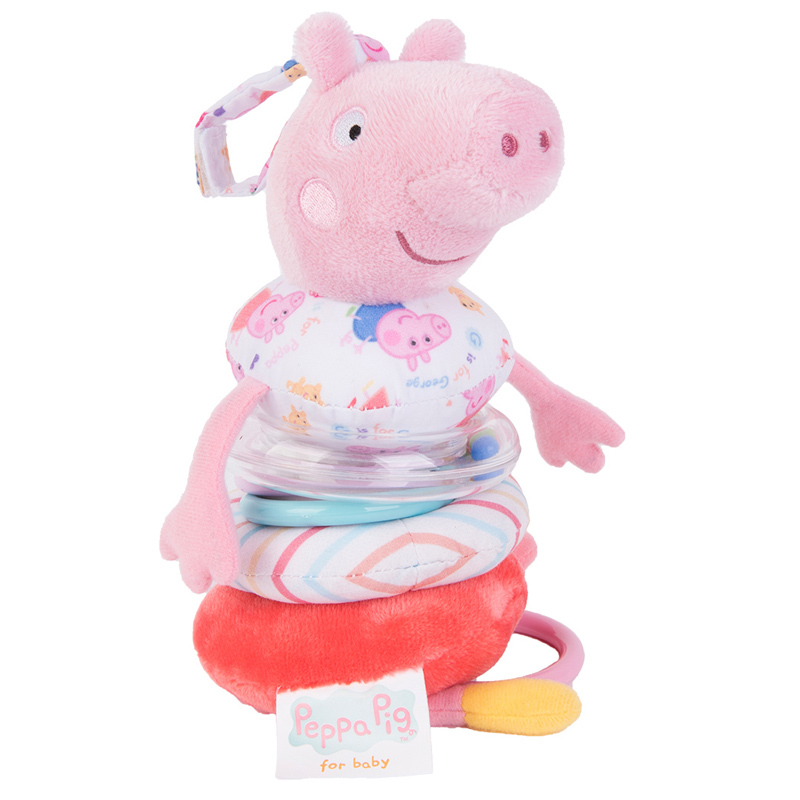 The Peppa Pig For Baby Peppa Jiggle is a great toy for keeping your child entertained. 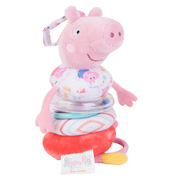 Not only that though, it is also great for developing your baby's senses due to the toys multiple textures and sounds it makes. With a plastic ring with balls in them to make a jiggly sound, as well as a loop handle that can be pulled to make Peppa Jiggle back up. 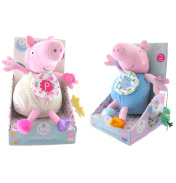 The toy itself goes well with things like car seats, cots, and buggys as it can be attached through velcro.